Drones will start getting digital identification certificates under a new service being launched on Tuesday that hopes to bring trust and verification to the skies. The Drone IDs will be SSL/TLS certificates from DigiCert issued through AirMap, a provider of drone flight information data, and will first be available to users of Intel's Aero drone platform. Under the system, drone owners receive the digital ID in the form of an SSL/TLS certificate when they register for AirMap services. 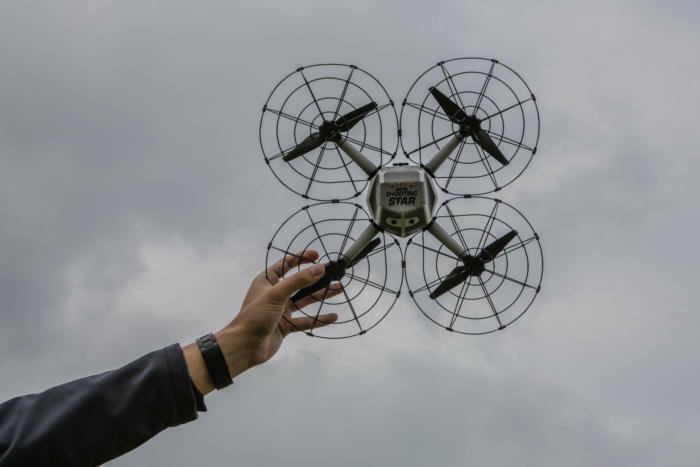 The ID is different from the identification number issued to drone owners by the U.S. Federal Aviation Administration and isn't part of any government scheme. Initially, the IDs will be used to authenticate drones into AirMap's system, which provides data about local weather and obstacles that could impede a drone's flight. The hope is they'll become something akin to a driving license: a recognized, trusted and widely accepted form of ID. "We’re hoping that this can be used outside of just our services and help the industry raise the bar with respect to security," said Jared Ablon, chief information security officer with AirMap. To further that goal, AirMap says it is open to working with other drone makers to offer the same IDs. He suggested it could be used as part of a transponder system on a drone, so that the drone would broadcast its identification while flying, and the same certificate could be used to encrypt communications between the drone and a ground station.